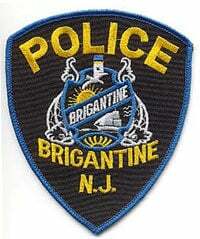 The Brigantine Police Department responded at 4:46 p.m. Thursday March 26 to a report of a burglary on the 4300 block of Atlantic-Brigantine Boulevard. The police arrested Jose Rojas, 27, of Brigantine and Felix Mujica, 37, of Atlantic City in Atlantic City and charged them with burglary, theft, conspiracy, receiving stolen property and possession of an imitation controlled dangerous substance for distribution purposes. Mujica was also charged with possession of a prohibited weapon. Both were sent to the Atlantic County Justice Facility in default of bail. Detective Sean O’Neill and Lt. Robert Rubino investigated. The Brigantine police also investigated another unrelated string of burglaries, resulting in the arrest of James Zoll, 37, of Brigantine. He was charged with two counts of burglary and one count of theft. Sgt. Thomas Wodazak and Detective Steve Ward investigated. Anyone with information involving serious crime or suspicious activity is should call the Brigantine Police Department at 609-266-7414. People may also call Crime Stoppers at 1-800-658-8477 or go to http://wwwcrimestoppersatlantic.com/. Crime Stoppers offers cash rewards for information leading to the arrest and indictment of those who commit crimes in Atlantic County.